A Latin paradise of cigar-chomping, rum-swilling, salsa-dancing revolutionaries? Or an impoverished nation living in the shell of a glorious past? 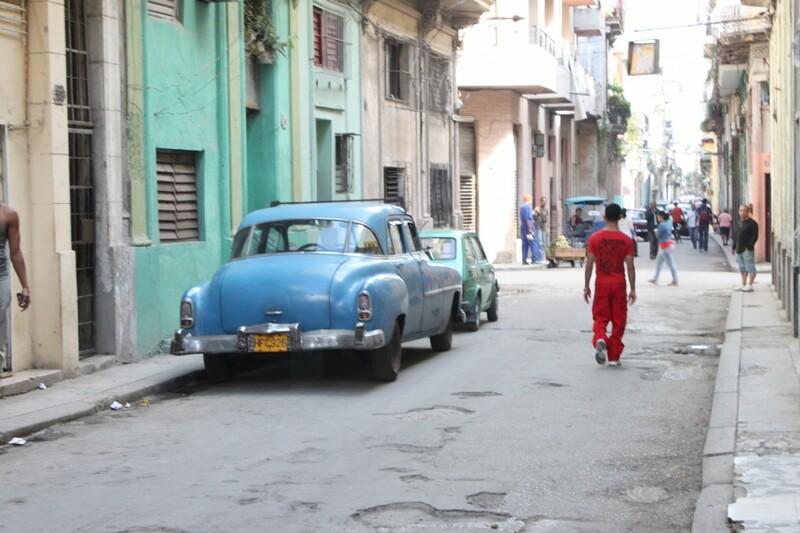 Sasha Arms discovers the cliches – and the realities – of life in Havana. The largest city in the Caribbean, with 2.1 million inhabitants, it’s no exaggeration to say Cuba’s capital makes for a unique visit – but to understand Havana you first have to understand its history. Founded in the 16th century by the Spanish, Havana’s position as ‘Key to the New World’ saw it rapidly grow from a small trading outpost into a flourishing and fashionable city of commerce and leisure. By the 1930s, swelled by American tourists escaping prohibition, it had become the Las Vegas of the Latin world, full of luxury hotels, swinging nightclubs and casinos – and seedy characters. Much of Havana’s legacy today is grounded in those cocktail-fuelled days of hedonistic abandon. Whilst the grandeur of Havana’s halcyon days still lingers on in the dilapidated colonial buildings and creaking American muscle cars (now more likely to be powered by Lada engines), today’s Cuba is a direct result of Guavara’s and Castro’s (highly romanticised) 1959 revolution, and their subsequent Communist policies, which restricted foreign trade and isolated the country from the rest of the world. With Castro finally stepping down from power in 2008, change is in the air, but for now Havana remains in stasis, crippled by the US trade embargo still in place since 1961. That means a severe scarcity of everyday goods/items (don’t come to Cuba for the shopping or the fine-dining…) and a distinct lack of customer service (…a filthy Capitalist invention! ), but you will discover a resourceful and romantic spirit refreshingly at odds with an increasingly uniform and globalised world. You might say that Havana is one of the few destinations around that continues to be itself rather than pander to what the traveller wants it to be. The Capitolio Nacional is Havana’s most famous landmark – this grandiose neoclassical building, whose dome reaches 92m off the ground, was based on Washington DC’s Capitol Building. Despite housing the Cuban Academy of Sciences and Technology, you can still head inside for a token fee and take in the ‘Hall of Lost Steps’ and the iconic Republica statue. Around the corner from el Capitolio is one of the most favoured cigar factories in the city: Real Fabrica de Tabacos Partagas. You can do a tour to watch the cigar making process from start to finish, then buy some from the musty, wood-panelled shop. (Note that the vicinity around the factory is a hotspot for scammers trying to sell you knock-off cigars “for a good price”. If a helpful local offers to walk you to the cigar factory, you’re more likely to end up in someone’s house faced with a holdall full of counterfeit Montecristos and Cohibas). 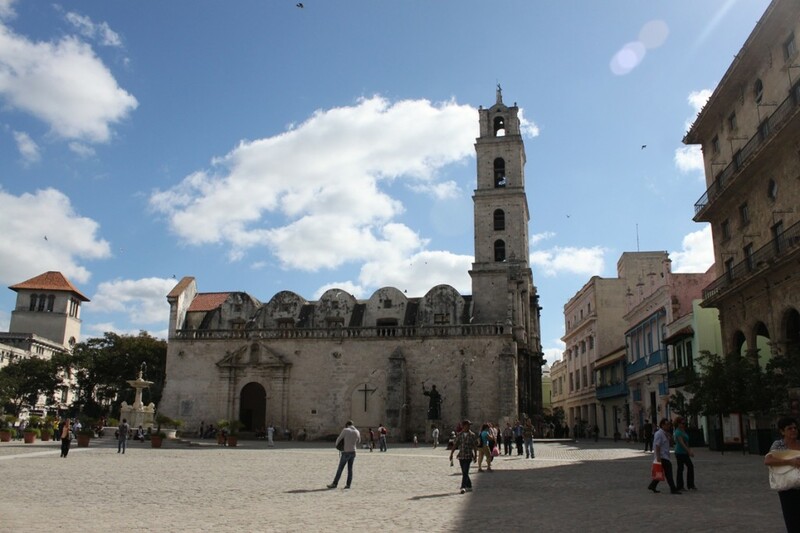 Havana is also known for its squares – Plaza Vieja, Plaza San Francisco de Asis, Plaza de Armas, Plaza de la Catedral. They’re all within walking distance of each other and have points of interests worth checking out, from cathedrals to historical monuments. 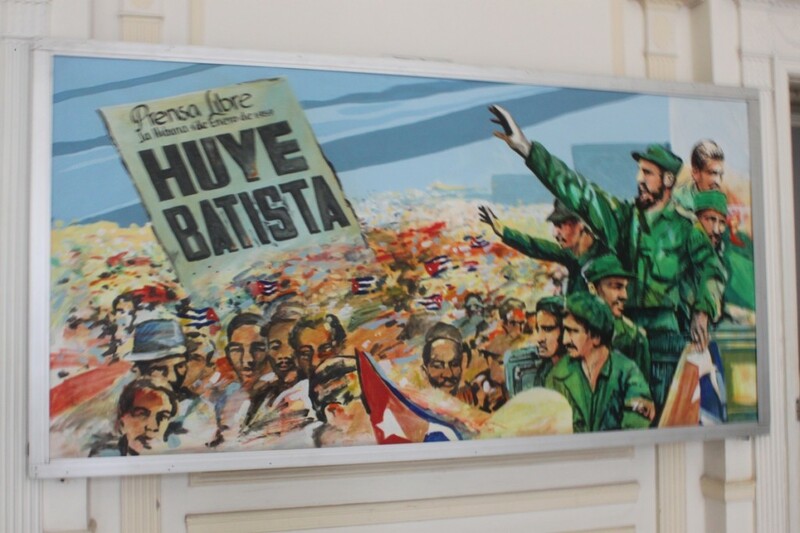 The vast Revolutionary Square is a taxi journey away from the Old Town in the Vedado distict and the current location of the Cuban government. There are various monuments to key revolutionaries here, including a large mural of Che Guevara. Havana seems to have a museum about absolutely everything and you can’t possibly visit them all. The Revolutionary Museum, however, is a must. Housed in the former Presidential Palace, the interior was decorated by Tiffany’s and the last president to reside here was Batista. The building today could do with some TLC along with the rest of the city, but the walls pock-marked with bullet holes serve as a close reminder of battles from the past. The museum is filled with Revolutionary accessories, blood-stained uniforms and posters and flyers used before and after 1959. 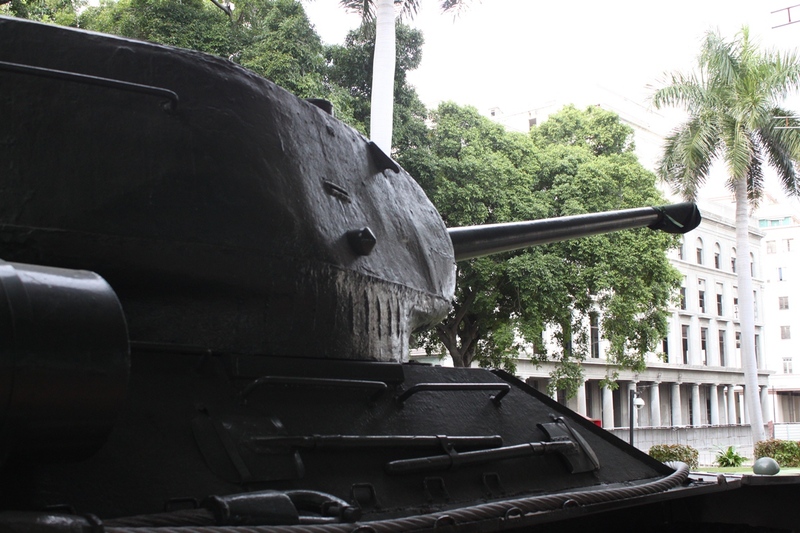 Visitors also have access to the plaza outside filled with bullet-riddled vehicles used during the Revolution, including the SAU-100 tank driven by Fidel Castro at the Bay of Pigs. Alongside this is the yacht that carried Castro and more than 80 revolutionaries from Mexico to Cuba in 1956: it’s kept in a glass case and guarded by the military 24 hours a day. Last but not least, the Malecon is an 8km long stretch of road with the sea on one side and a charming but seriously dilapidated row of buildings on the other. The Malecon is where Cubans go in their leisure time – to simply walk, ponder or meet up with friends or lovers for a chat or a date on the Malecon sea wall. It’s a window into Cuban life at its most simple and beautiful. As a city with a museum for all and sundry, there are a couple of quirkier stops to be made. Museo de Naipes on Plaza Vieja is the playing card museum with a collection of 2,000 designs of playing cards. It’s definitely niche, but not as much as the Havana Pharmacy Museum. The miniscule ‘museum’ is set up as a display of an old Cuban pharmacy, which in reality is not much different to the working pharmacy (for Cubans only) that’s still in operation in the same building. Meanwhile the Museo del Automovil is filled with huge old American cars in much better condition than the ones you’ll find negotiating the roads. Bookworms and those looking for a slice of Cuban history in the form of the written word must pay a visit to the second hand book market that takes place in Plaza de Armas every day except Sundays. It’s filled with books relating to the revolution, including a number in cartoon form. Arty types might enjoy another speciality opportunity in the city – a class on the art and skill of engraving at the Taller Experimental de Grafica. Sport fans can also explore Havana’s quirky side. The Gimnasio de Boxeo Rafael Trejo is a boxing gym where visitors can go to watch fights on Friday evenings. It’s certainly one way to get an insight into a side of Cuban life (check out this article in the Independent). There’s also the Estadio Latinoamericano – the city’s baseball stadium that seats almost 60,000 people. Believe it or not, baseball is Cuba’s national sport (Fidel Castro has even been pictured wearing a baseball hat and swinging a bat on the pitch) and this stadium gets packed out for games. While it’s not exactly a sport, the Circo Trompoloco – a circus with a focus on Soviet techniques – is an entertaining night out. 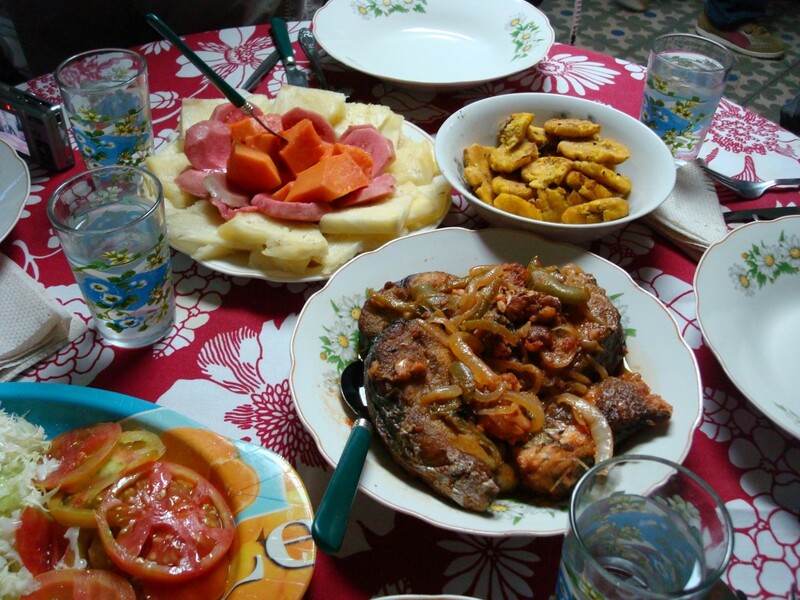 Foodies can have some fun in El Barrio Chino – Havana’s China Town. The irony is of course that there are no Chinese people running any of the restaurants. In the least, the Cuban interpretation of Chinese food makes for a talking point over dinner. Locals rate the ‘Three Chinese’ as one of the best Chinese restaurants in Havana. For afters, a visit to El Gato Tuerto – ‘the one eyed cat’ – is apt to finish up an alternative evening in the city. Found in a house off the Malecon, the property has turtles in the swimming pool out front, while the ground floor is a nightclub. Have a sneaky peak at the locals taking it in turns to sing renditions of Latin ballads by the karaoke machine, or join in if you’ve drunk enough mojitos. For even more ideas of things to do in, check out my guide to Havana’s weird and wonderful museums. Havana’s annual events calendar kicks off from 1st January when Cubans not only celebrate the New Year but the triumph of the Revolution and a party atmosphere prevails on the streets. The Festival Internacional de Jazz happens every February and consistently draws in a number of big names. The Hemingway International Marlin Fishing Tournament was set up by Ernest Hemingway himself in 1951, and gained further notoriety when Fidel Castro won in 1960. August is when both the Havana Carnival and the Havana Hip Hop Carnival take place. The former involves music, parades and dancing along the Malecon (think the Notting Hill Carnival with more rhythm and less police presence), while the Hip Hop Carnival sees some of the country’s many young dancers performing. The Havana ‘Marabana’ marathon attracts up to 3,000 runners each year, and the year culminates in the internationally famous Festival del Nuevo Cine Latino-Americano – the Latin American Film Festival. For those who want to get an idea of some of Havana’s local creativity and life first hand, a stroll through the Old Town will reveal art gallery upon art gallery, so stop at any that take your fancy (if they’re open). The Fototeca de Cuba art gallery on Plaza Vieja is a photo gallery for local and international artists and the photo archive for the City Historian’s Office; it’s well worth a visit. If you get the dancing bug while in Havana, and it’s hard not to, there are a number of dance classes on offer across the city. The Conjunto Folklorico Nacional de Cuba is a good option, with all kinds of classes suitable for different levels. Lastly, the travel agency San Cristobal Agencia de Viajes can do a tour of social projects going on in the city for those who want to get a firmer handle on how the city ticks. If you don’t have cash to flash, there are plenty of budget and medium range accommodation options in central Havana. Residencia Academica Convento de Santa Clara is one of the few hostel accommodation types in the city and is housed in an old convent. It’s basic but serves a purpose. Most low priced accommodation options come in the form of casas and people renting out rooms. Just one example is Juan y Margarita (casas are often simply called the name of the owners) on Obispo. They rent out a two bedroom apartment with a sitting room and a balcony that helps you get a feeling for Cuban life going on below. The restaurant that locals unanimously agree is the best place in town is Los Nardos. It’s a drab-looking, semi-private restaurant where you often have to queue, but seems to be worth it. It serves up Cuban food and seafood such as lobster for cheap prices. For fine dining (which is hard to truly find in Cuba), your best option is La Torre, found on the top floor of the modernist structure of Edificio Focsa. It has a French focus and impeccable service (also hard to find in Cuba), although prices are expensive even by European standards. La Imprenta on Mercaderes is more of a realistic, middle of the row option, located in an old printing works. Café Lamparillanearby is totally buzzing with pavement seating and serves cheap, satisfying food. Over in the suburb of Miramar, Paladar Mi Jardin is found in the tranquil setting of a family garden and the Mexican food on offer is really tasty. grapefruit juice. A few doors down is Monserrate Bar, replete with saloon-style doors and a great selection of bands. The prices are more reasonable and the place gets more and more vibrant as the day goes on. Bar dos Hermanos is on the way from the old town towards the docks and is another lively option; this one was the poet Lorca’s favourite. Jazz fans will get their fix from the JazzCafé on the top floor of the Galerias de Paseo nightclub, which overlooks the Malecon. Those who want more of a nightclub atmosphere should head over to La Casa de la Musica in Central Havana or in Miramar. It’s one of the most popular venues for live music in Havana and regularly has top live salsa bands. There are lots of cabaret options in Havana, but you might as well go to the most famous one. Club Tropicana, of course. 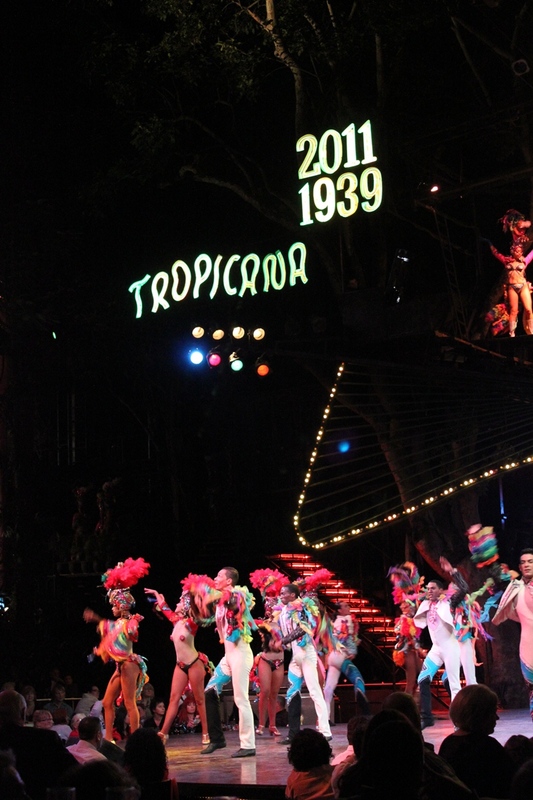 The outdoor cabaret is a spectacle of scantily clad and exceptionally talented performers and you won’t regret going – Tropicana is one of the few places in the world that lives up to its name. Men are handed a cigar on entry and tickets also include a quarter of a bottle of the famous Havana Club rum and a glass of something sparkly per person. Virgin Atlantic flies from London Gatwick to Havana twice a week and from other cities across Europe at a similar frequency. Cubana Airlines also runs a number of international and domestic services. Package deals with specialist travel agencies such as The Holiday Place can offer more wallet friendly packages that include both accommodation and flights, but do your research on the hotels they offer before you go. Information on Cuba in general is hard to come by, both online and in print, and you should go knowing that you will have to work out a lot for yourself when you get there. 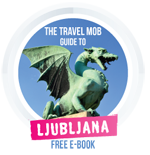 Lonely Planet, Frommers and Virtual Tourist have some decent tips, as does this Insider’s Guide in the Guardian. If you need a little help booking your Havana holiday then Esencia Experiences are a company offering bespoke Cuban travels. Cuba (published in October 2011) helps get you started and there’s an extensive section on Havana, including some handy maps. For some fiction pack Graham Greene’s lauded Our Man in Havana. Apart from a film version of Our Man in Havana, take your pick from Revolutionary films such as Cuba with Sean Connery, Havana starring Robert Redford, or more recently Che with Benicio del Toro. For something more concerned with the plight of Habaneros today, try the Spanish/Cuban effort Habana Blues. 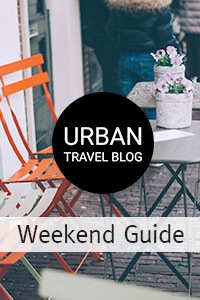 This post is really good to know exactly what to visit in Havana! Thanks for your great work, Sasha!